WestLAND Group GIS solutions range from enterprise-wide spatially enabled corporate systems to individually focused, custom desktop applications. A variety of different technologies are utilized based on the needs of the business model ensuring that internal networks, intranet, and Internet thin client protocols are properly utilized. The integration of these different technologies is typically required to support a complete business architecture. WestLAND Group delivers services for all facets of GIS development. Our team of GIS experts has extensive experience in the development and management of GIS projects for client projects of all sizes. Leveraging this experience, we have helped develop comprehensive mapping systems for municipal, federal, state, and commercial clients nationwide. WestLAND has designed databases, software and systems based on robust business process modeling, requirements analysis and UML modeling techniques. Identifying technical opportunities to improve operational efficiencies are often part of the business re-engineering component of the design process. The key aspect of our design services is developed to ensure an intimate tie to possible future spatial database and software. WestLAND has developed databases and software that reflects a software presentation that matches the client business model. Development incorporates database development, data conversion, as well as software engineering. Testing, quality assurance and certification are key components of the development phase. WestLAND Group being under strict time constraints and within a tight budget accomplished the necessary tasks in order successfully compile, organize, manage and implement data into an ESRI ArcGIS system. 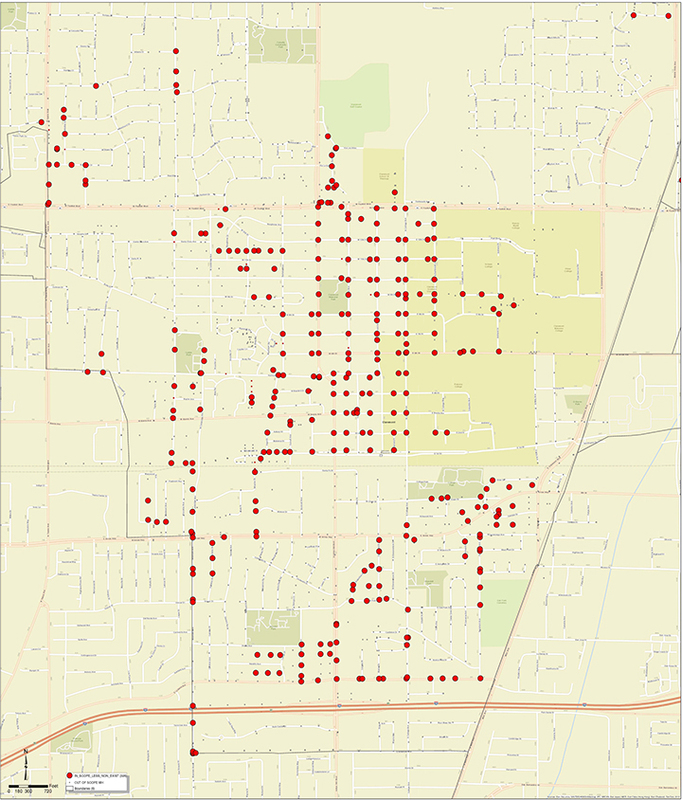 GPS location, photos, symbols, and rim/invert elevations were collected on 400 existing sewer manholes. Digital leveling was utilized in order to obtain accurate NGVD88 elevations of all manhole rim elevations. The data was incorporated into ArcGIS for quality control, asset management, and sewer study purposes. Our team generated a DTM, rendered 3D graphics, and utilized photogrammetrically and surveyed compiled pipelines and hard copy maps showing the location of wells, pipelines, and fittings for conversion into a digital mapping environment in order to develop the feasibility of automated hydraulic modeling for pipeline design in a dynamic environment. Pipeline and fitting attributes were stored in an Access database and connected to the 3D mapping environment. Through the use of a custom application, the spatial locations of graphic elements and Access attributes were transferred into a specialized, third party hydraulic modeling software product for further analysis. Additional tools for pipeline planning scenarios were created to utilize the DTM. WestLAND generated a DTM, rendered 3D graphics, and utilized photogrammetrically and surveyed compiled pipelines and hardcopy maps showing the location of wells, pipelines, and fittings for conversion into a digital mapping environment in order to develop the feasibility of automated hydraulic modeling for pipeline design in a dynamic environment. Pipeline and fitting attributes were stored in an access database and connected to the 3D mapping environment. Through the use of a custom application, the spatial locations of graphic elements and access attributes were transferred into a specialized 3rd party hydraulic modeling software product for further analysis. 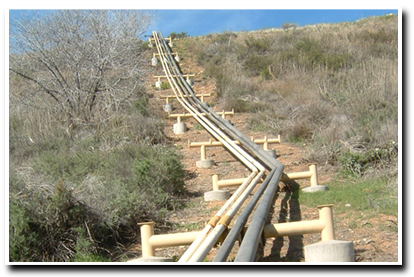 Additional tools for pipeline planning scenarios were created to utilize DTM.